Western Views - Music and Culture from the Caribbeans — 14. April 2019 — Host: Atara Aliza Israel In this show, we talk to Joseph from Barbados. he will tell you a little bit about their country. 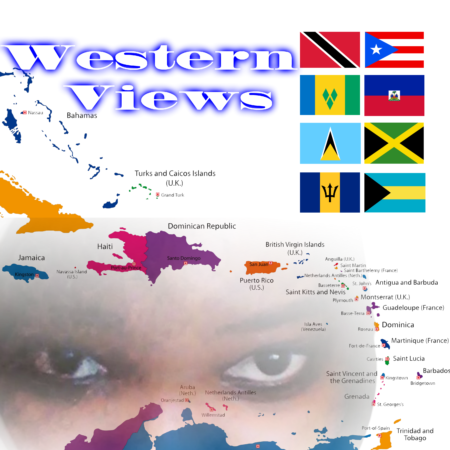 Western views is a radio show about the Caribbean. People in Austria often confuse the Caribbean people with African people. They sometimes ask me ‚Where in Africa is Jamaica?‘. So what I’m going to do is to let the people know more about the Caribbean. Not just Jamaica but all the Caribbean Islands. I will invite people from different Caribbean countries to my show to talk about their island, their culture and music. Each show I will give you five facts that you probably didn’t know about these countries so you’ll get to know the Caribbean people a little better. You will understand that African and Caribbean people are not the same. We are different in so many ways.